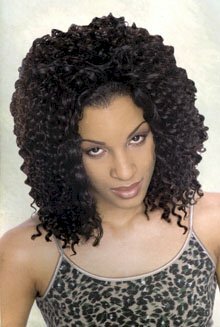 Hairz Online: New Deep Wave Weaving Hair 12"
New Deep Wave Weaving Hair 12"
Hairz Online - Human Extension - New Deep Wave Weaving Hair 12"
100% Human French Refined Wet N Wavy. The more you wet, the more it waves up. Net Weight : 1/4 lb. Recommended : 1 Pack for pony tail. 2 - 3 packs for full hair style.